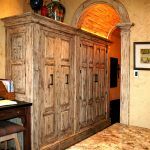 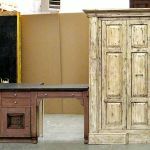 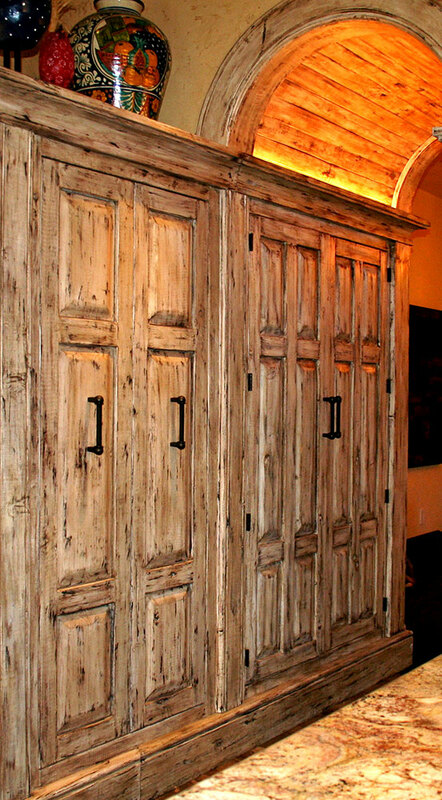 This custom, solid wood pantry cabinet is adorned with an antique carved panel on the end. 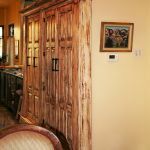 The cabinet is made entirely of salvaged lumber. 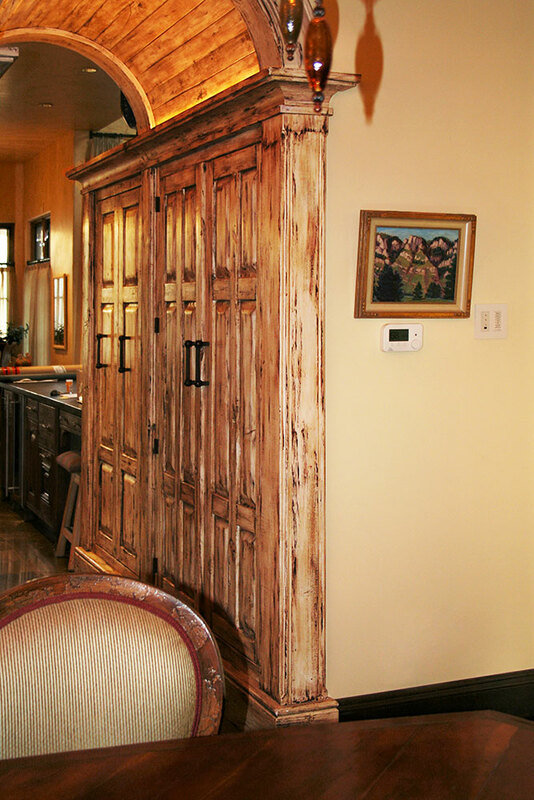 Beyond the pantry cabinet, the doorway has a surround with columns and a Butler’s Pantry. 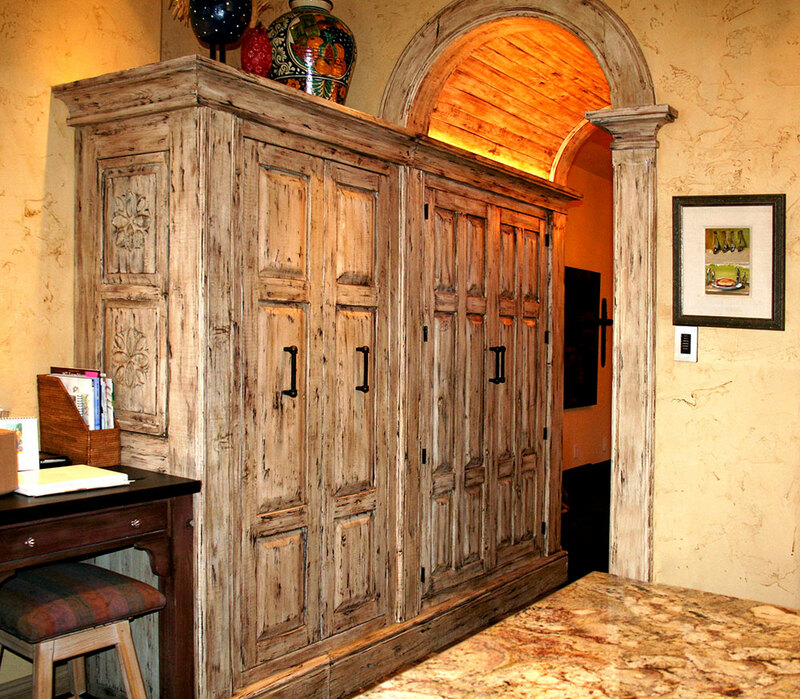 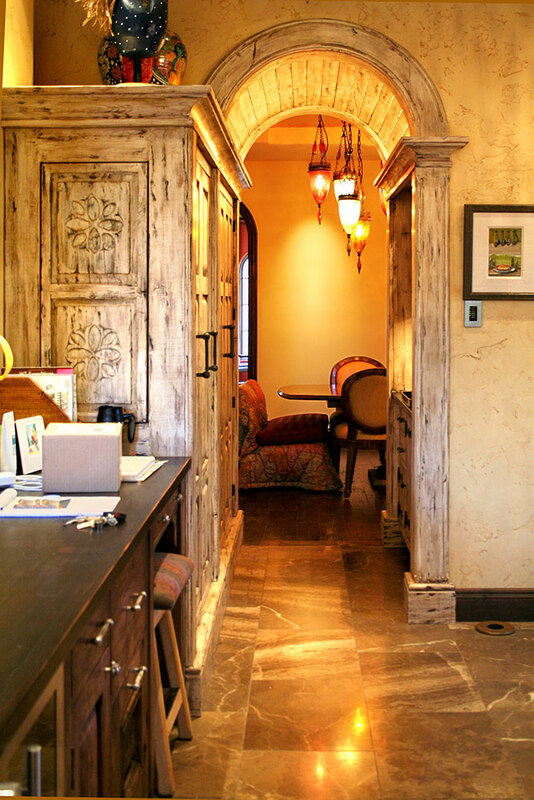 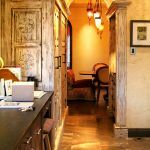 The built-in cabinetry includes the arched ceiling with lighting tucked into the crown moulding.